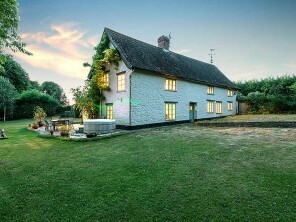 This weekend the One Off Places family headed down to Somerset to sample the delights of Railway Cottage, a 3 bedroom cottage right by the West Somerset Steam Railway line near the village of Woolston Moor in north Somerset. The cottage was built by Isambard Kingdom Brunel, a world famous engineer, at the same time as he was building the railway. Despite pretty horrible weather for most of the weekend, we found the cottage to be an absolute delight. 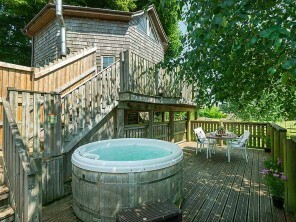 The pretty garden is home to a glorious hot tub, which we wallowed in for hours - who cares about the rain when you're submerged in a hot tub and looking up at the skies. The garden is teeming with birdlife (who also couldn't care less about the weather!). 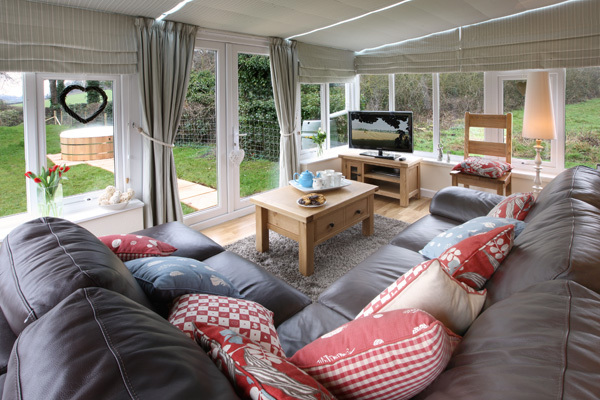 Inside, three comfy bedrooms, a very well equipped kitchen, and a cosy living area with views down the garden. There's a collection of games, books and DVD's and a good wifi connection so no shortage of things to keep you busy indoors. 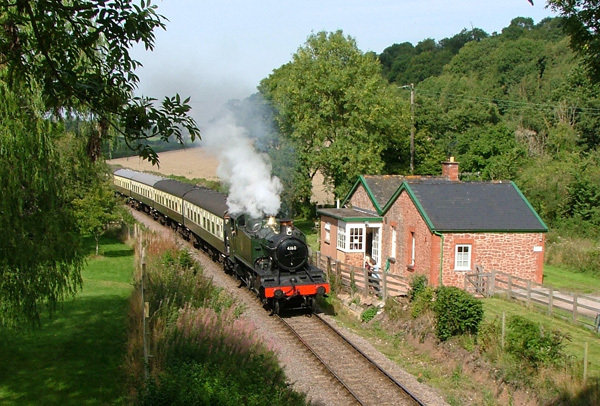 Although the steam trains weren't running this weekend, they do run for much of the year round so for train enthusiasts, this is simply the perfect place. During December there are festive themed services. 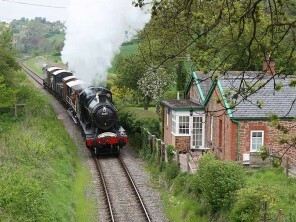 You can enjoy waving to the trains as they pass the cottage, or hop on at a nearby station and find yourself chugging past your own holiday house. 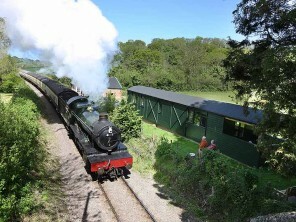 See the West Somerset Railway website https://www.west-somerset-railway.co.uk/ for the timetables. The beaches of north Somerset are a 10 minute drive away. Some of the nearby beaches are known for their fossils. Some also have cafes overlooking the beach so even on a grey and rainy day like we had, you can head inside for a hot chocolate after a bracing and somewhat chilly walk! One of the other great joys of this area are the beautiful Quantocks. Right on your doorstep are the Quantock Hills, an AONB (Area of Outstanding Natural Beauty), a huge area of wilderness, made up of varied landscapes, with exposed heathlands and a huge range of flora and fauna. It is heaven for walkers and wildlife enthusiasts, and lovers of the great outdoors. In fact, this whole part of Somerset is teeming with wonderful walks, and it's easy to find something suitable for the littlest of legs to the hardiest of legs! 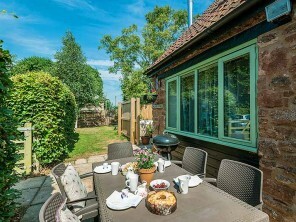 On the same site as Railway Cottage (but with enough distance between them to afford privacy, and gardens at opposite ends of each of the properties) is Railway Carriage, a purpose built railway carriage with two bedrooms, also with its own hot tub. 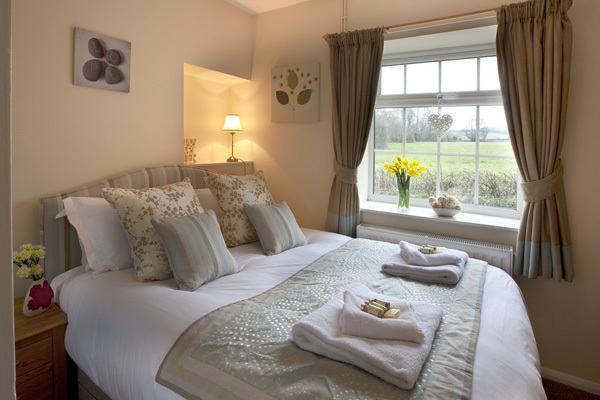 So for larger groups, you can book both (sleeping up to 10). The owners live and farm nearby, and we can highly recommend their breakfast box - a real feast of local (from their own farm) produce. They can also provide BBQ boxes and a whole host of other treats if you order them in advance. 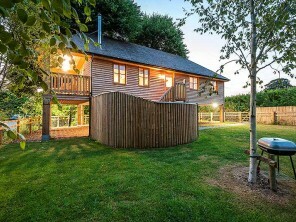 They have a few other properties in the vicinity, including a 6 bedroom barn conversion with pool, and a marvellous octagonal treehouse with a private hot tub. 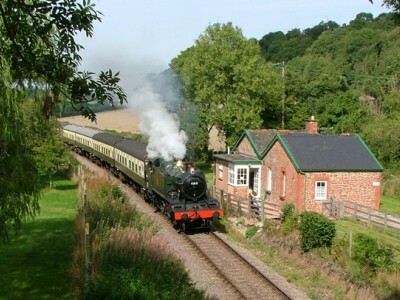 Railway Cottage costs from £480 for a 3 night weekend or from £636 for one week.